Why have just one or two superfoods in your meal when you can have all of them? 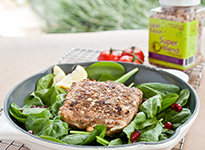 Our products are excellent sources of antioxidants, omega fatty acids, fiber, vitamins, and minerals. 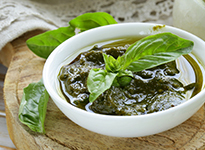 Receive updates straight to your inbox about news, events, and recipes! Don’t worry, we promise not to send spam or share your email information. 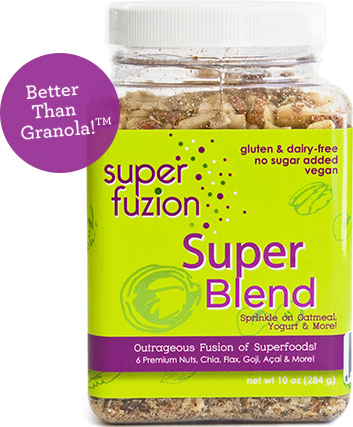 Including chia seeds, almonds, walnuts, brazil nuts, macadamia nuts, goji berries, acai and more! 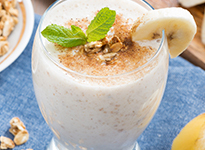 Our products are excellent sources of antioxidants, omega fatty acids, fiber, vitamins and minerals. 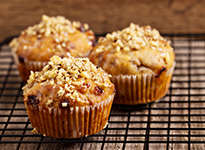 They are all-natural, gluten and dairy free, vegan and paleo-friendly. They are also peanut and cashew free. 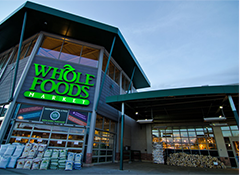 We're Now Available At Whole Foods! Come find us at Whole Foods! 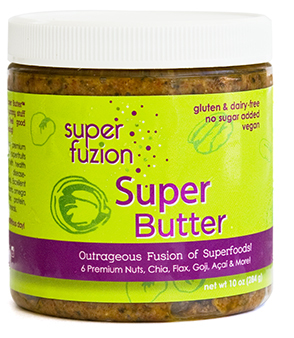 SuperFuzion® Blend and SuperFuzion® Butter are launching in October 2014 at Whole Foods Market in Pembroke Pines, North Miami, Miami Beach, Coral Gables/South Miami, Pinecrest, and the new Brickell location opening soon.